Are you looking for top-of-the-range computerised till systems for your business? Whether your business lies in hospitality or retail, we have the perfect computerised till systems to suit your needs. From portable systems that you can move around freely, to handheld devices that link back to a central till system, we promise that the day to day running of your business will become easier and more efficient with computerised tilI systems from CCM EPoS. Why do I need computerised till systems? 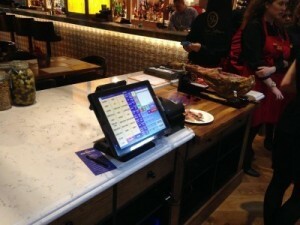 Computerised till systems have been shown to greatly improve the functionality of hospitality and retail businesses. Providing cutting edge technology with user-friendly software, computerised systems provide a fantastic hub for collecting data, imputing data and performing transactions. Read on to find out how one of our computerised till systems could help your business. Upload your menu with our menu function. You can set the screen to your liking, with a variation of tab options to make finding dishes easy and the choice of having the most popular items or special offers on the main screen. When the waiter or waitress comes to take an order, they can select the table number to which all selected items will be recorded. They can then select each dish according to the customer’s choice, which is then automatically sent through to the kitchen. 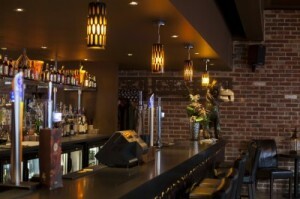 Many managers in bars and restaurants have found our computerised till systems a fantastic way to measure stock control. With each item sold recorded on the system, managers can check whether the amount of stock sold measures against the amount of physical stock present out the stock room. Takeaway houses benefit from our online computerised till systems as they link up to their website or third party website ordering systems. With each order taken, our computerised till systems will process the information then display the order on the screen. With your computerised till systems keeping an eye on the stock going out of your store, you can keep up to date with the most popular and least popular items, adjusting prices where necessary and encouraging sales through promotions. If you decide to put an item on promotion, you can easily change the prices in the simple to use systems. Many retail establishments use our computerised till systems to measure the amount of stock in the back room. For example, if you have an item on display on the shop floor and the customer asks for more than what is on display, you can check your system to see how many of that item you have available, instead of the other scenario, which would involve the time-consuming task of counting each individual item. When it comes to first-class software, our computerised till systems come up top. With additional add-on options including scales and CCTV integration, we can build computerised till systems to suit your needs. Why should you choose a till from CCM EPoS? At CCM EPoS, we put our customers at the heart of everything we do; from manufacturing and producing the highest quality computerised till systems and software, to giving sound and advice and excellent aftercare. When you decide that your business will benefit from a computerised till system, get in touch with our team, who will be able to guide you through the options available to you. Every meeting that you have with us is no-obligation, so no need to worry if you want to back out. We can discuss options regarding choosing the right till to suit your needs, to recommending the best payment plan. We believe our tills should be available to everyone no matter the size of your business, which is why you can decide to purchase, rent or lease a till system from us. Once we have installed your system and arranged a payment plan, we’ll ensure that you know your way around all the functions so you can get the most out of your computerised till systems. If you’re having issues, our aftercare team are always on hand to give you advice and can remote-in to your system should any problem be too complex. If you think your business will benefit from our computerised till systems, don’t hesitate to contact us today.